About six years ago, Bengaluru’s John Thomas began getting frequent attacks of asthma and upper respiratory infections. Doctors advised him to stop using chemical mosquito repellents. He scouted the Internet for herbal alternatives but without any success. Today, Thomas is the founder and chief executive officer of Herbal Strategi, a company that manufactures natural repellents. To develop the product, he took help from the Central Institute for Medicinal and Aromatic Plants (CIMAP), a plant research laboratory of the Council of Scientific and Industrial Research (CSIR). The funding came entirely from his savings. Before starting Herbal Strategi, Thomas worked at a marketing company for nine years. But he always wanted a business of his own. “In 2009, CIMAP agreed to help me formulate a product that would keep bugs away for at least 8-12 hours. I conducted field trials in Kerala, which, unlike other states, is home to all 400 known breeds of mosquitoes in the world,” Thomas says. The research yielded a combination that worked for 91 per cent of the breeds. In 2011, Thomas floated Herbal Strategi, making it the first company in the country to produce natural repellents with government help. CSIR and the Indian Institute of Integrated Medicine, Jammu, are responsible for quality control. About 70 people work for the Bengaluru-based company which exports its products to Gujarat, Rajasthan, Delhi, south India and to South East Asian and African countries. The products provide protection against mosquitoes, cockroaches, ticks and fleas. The range includes room sprays, body sprays, vapourisers, incense sticks, bed bug repellent sprays, surface cleaners, disinfectants, fresheners, handwash and hand sanitisers. According to a 2015 report released by Infiniti Research Ltd, a private market research firm, there has been a global surge in the demand of organic repellents. Dabur ventured into the market in September 2014 to cash in on the opportunity and launched Odomos Naturals, a range which includes water-resistant wrist bands and patches (see ‘Gone organic’). These contain 100 per cent natural citronella and mask body odour to make the wearer invisible to mosquitoes. Mosquitoes are attracted by carbon dioxide, lactic acid and other excretory products present in the sweat of warm blooded animals. Repellents block the lactic acid receptors of mosquitoes by masking the human scent or by using a scent which insects naturally avoid. While brands like Dabur started making organic repellents after having spent considerable time in the synthetic repellent industry, others, like Deve Herbes, launched natural products right from the start. In 2013, this company brought out a range of mosquito repellent sprays made from citronella, lemon grass and other oils. These remain effective for four to six hours. Apart from India, the Delhi-based company sells its products in over 100 countries, including the US, UK, Europe, Japan and South Korea. “There is a growing demand for organic repellents but the number of good companies catering to this demand is very less. I know of so many companies that sell chemical repellents in the name of herbal repellents,” says Vikas Bhardwaj, founder-and chief executive officer of Deve Herbes. Bhardwaj has worked in the corporate sector for the past 20 years. Though the demand for herbal repell-ents has increased only recently, they are certainly not new entrants to the market. In 2009, Godrej, a key player in the mosquito repellent market, extended the franchise of its Good Knight brand by launching a mosquito repellent cream under the name of Good Knight Naturals. Another new player in the herbal repellent market is Aringel, a Gurgaon-based household products company that started business with repellents in 2012 and then diversified into products such as herbal tea and mouthwash. 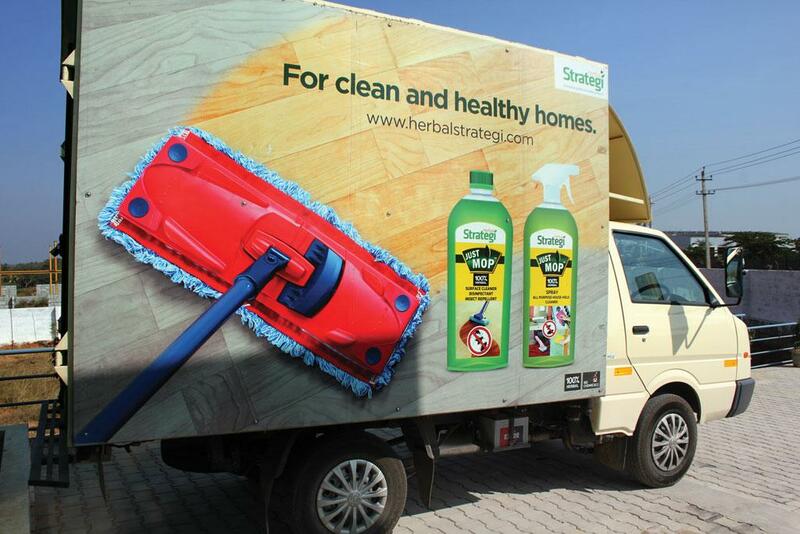 “Herbal repellents are the need of the day. When my daughter had dengue in 2012, I could not find any herbal repellents. I did my own research and launched Aringel,” says Arun Gupta, founder of the company. “We started as a small company but now have a large and steady customer base. We even export our products to Africa,” Gupta adds. Though herbal products are 5-10 per cent costlier than synthetic repellent, they are more effective and provide immediate results. According to a 2012 paper in a journal of the Slovak Academy of Sciences, plants whose essential oils have been reported to induce repellency include citronella, neem, cedar, verbena, penny-royal, geranium, lavender, pine, catnip, cinnamon, rosemary, basil, thyme, allspice, garlic and peppermint. But unlike natural repellents that mask the wearer or repel mosquitoes, chemical repellents are made to kill. They are made from chemicals like allethrin, dimethyl phthalate and N-N-diethyl-m-toluamide (DEET). The unpleasant smell, potential toxicity and oily feeling associated with these are among their major drawbacks. “Chemical products are dangerous as they get absorbed into the skin more easily than natural products. For instance, 15 per cent of whatever quantity of DEET you use gets absorbed in your skin,” Thomas says. A paper on toxicity of plant-based mosquito repellents/killers, published in a journal of the Slovak Academy of Sciences in 2012, tested some plant derivatives for their toxicity. Neem was found to be non-toxic for mammals for a dose of 1,200 mg/kg. Other plants like salvia, pyrethrum and shankhpushpi were also tested and showed the same results. Though natural repellents have started to make a mark in the market, the demand for synthetic products is still much more. “Nearly 70 per cent of the population is not bothered about what repellents they use,” Thomas says. Licensing of organic products is also a concern. “Many companies claim their products are 100 per cent natural but they use chemicals along with essential oils,” says Thomas. For sale and export of Ayurvedic medi-cines and cosmetics made in India it is mandatory to obtain a drug manufactu-ring licence. The licensing authority is the Union Ministry of AYUSH. Aringel and Herbal Strategi claim to have the licence. Deve Herbes says it has an appropriate cosmetic licence but has not divulged details about the licensing authority. “Trust a product to be 100 per cent natural only if it has an AYUSH licence,” Thomas concludes.